Here's is the second electrifying and inspiring one from Golibe singer popularly known as KingCee. 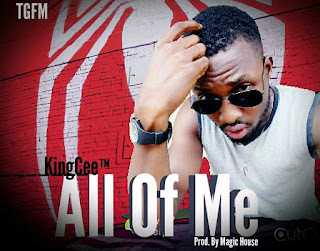 Straight from his song called Golibe which got a massive download across the glob, the TFGM guy made a new appearance with another hit but this time he called it All Of Me. You know what, the song is bam of course is an Afro song killed with a golden voice. Download below and share.